1. 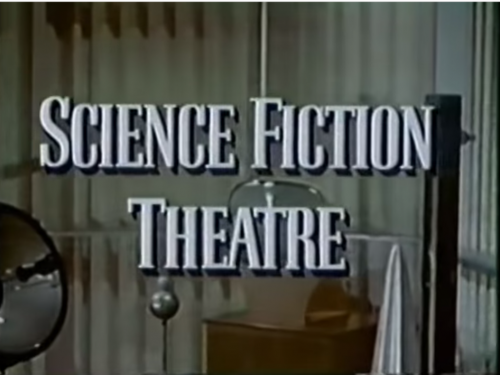 Science Fiction Theatre – This anthology series ran from 1955-1957 in syndication, a prelude to The Twilight Zone and The Outer Limits. Science Fiction Theatre took a more realistic approach than those two series, but the concepts explored were just as far-reaching. Hosted by actor and war correspondent Truman Bradley, owner of one of the best names ever, Science Fiction Theatre is probably best known as the show that George McFly was a fan of in Back to the Future. 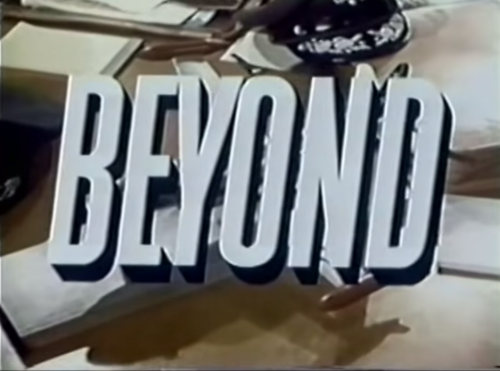 The producers of the show had an ambitious view of the future of color television and produced the first season of the show in color. 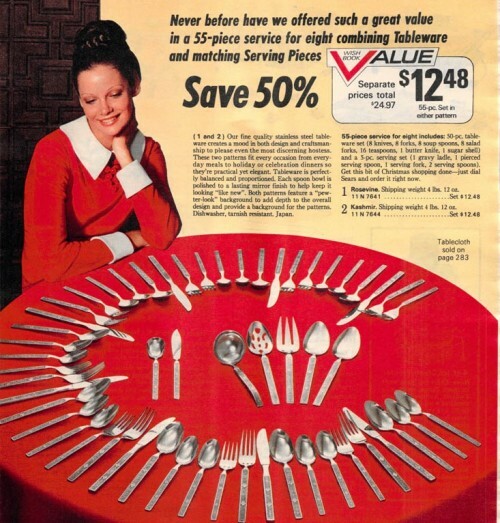 Few could view it that way, though – the technology wasn’t quite there yet. The second season was produced in black and white to save money. The show’s a great snapshot of the fifties, both in its vision of the promise of the atomic age as well as the uses of the television studios of the time. 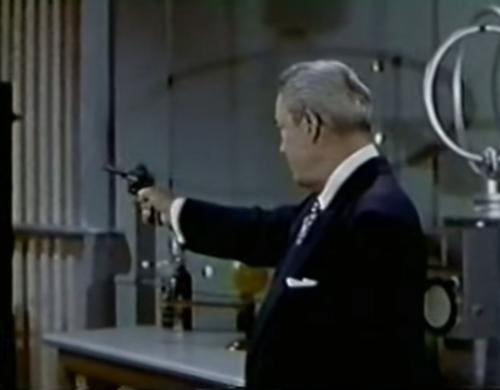 In the first episode, Bradley fires a live round into a television to make the point that you can’t see a bullet in flight. That’s pretty bold! Here are a couple of episodes, one with a more down-to-earth premise (“Beyond”), and one with a further-reaching idea (“Time is Just a Place”). These are so good. 2. 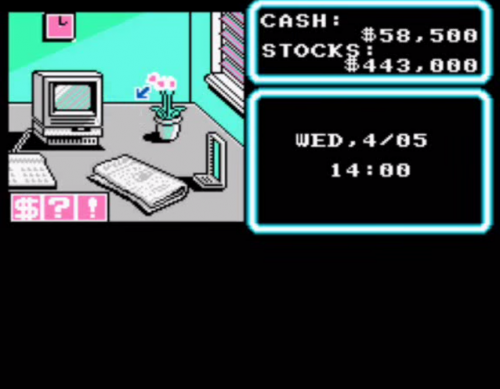 Wall Street Kid (NES) – A game that encourages little kids to become tycoons who care only about real estate purchases and buying presents for women? Sign me up! 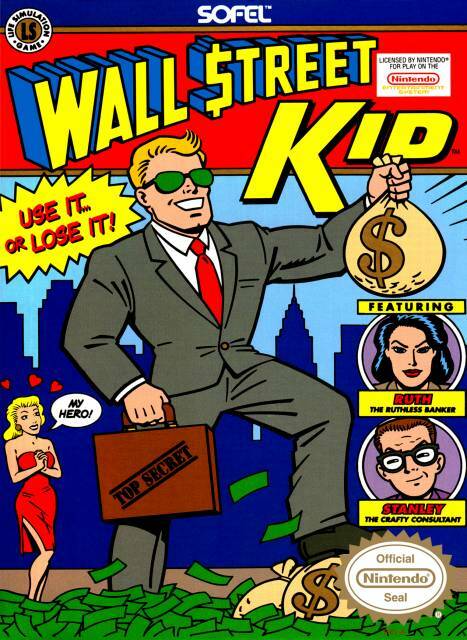 Wall Street Kid is centered around the premise that you, the “Wall Street Kid”, have been tasked with saving your family from financial ruin in the wake of your rich relative’s passing. You are given $500,000 of seed money and are essentially forced into making a bunch of big purchases in order to keep your family above (rich) water. This is the view of the majority of the game. Here’s a list of the stocks available for you to invest in. Get it? Haw Haw. 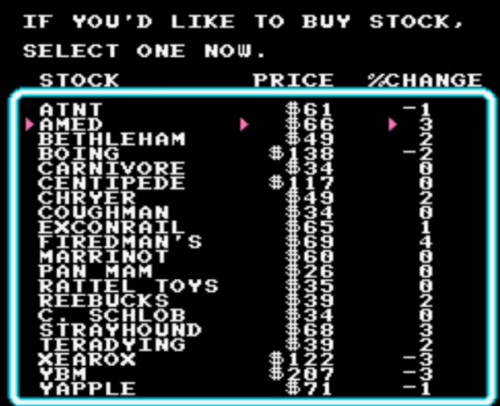 You should probably get in on that “Yapple” stock at that price. 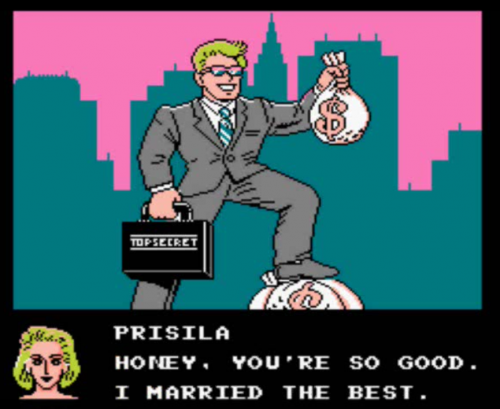 If you do it all correctly, Prisila becomes your wife and you buy enough things to ensure your position as the appropriate heir to the throne. 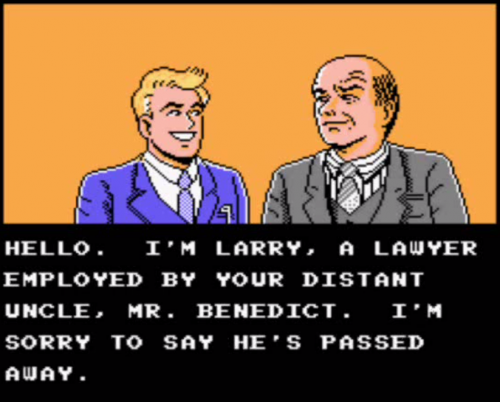 Weird game. Weird game. But not terribly bad, as it happens. Just kind of highlights the worst of the mentality of the investment game. 4. Miles Davis Honda Commercial – Who knew that Miles Davis did an ad for Honda Scooters back in the 1980s? Not me! It feels like a prequel to those Matthew McConaughey Cadillac ads, where they just point the camera at the actor and tell him to say whatever. 5. Star Wars Zuckuss and AT-AT Commander – I get that every Star Wars character under the sun has its own toy, and I’m okay with that, but I always assumed it took a certain level of presence to warrant a commercial for your toy. This spot for Zuckuss and the AT-AT Commander flies in the face of that assumption.